Craving those rainbow hues? Create a burst of colour in three bold shades, or go for a pastel shade by mixing with the in-pack conditioner or our NEW Pastel It! conditioner. Response from Schwarzkopf LIVE: Great to hear! Thank you for your review! Response from Schwarzkopf LIVE: Thank you for taking the time to review Victoria! Sorry to hear the purple was disappointing though, I have forwarded your comments to our Marketing Team for further evaluation. Absolutely brilliant. Colour is super bright and very easy to use, as almost like a paste so no dripping or mess. Bath cleaned up well after washing out. Used these shades after getting hair lightened at a salon so really good to be able to get these colours at a good price. I have fairly short hair and have enough to do a second sitting. Two lots of conditioner means I can keep it soft and silky for ages. Really happy with this product. Thank you. I've used a few Schwarzkopf LIVE Colour semi-permanent and permanent dyes in the past but I have to say I'm pretty impressed with this colour collection. All three colours included are vibrant and my hair looks healthy and in great condition. My hair was already lightened as it was previously pastel pink (Schwarzkopf LIVE Lightener + Twist 101 Cool Rosé, dyed about two months ago) so I wouldn't be able to say what it looks like on darker tones. I've washed it once so far, the colour did run like most other pillarbox reds I've used in the past, but my hair still looks just as vivid and I think it will last. Overall, really happy with the product and I've been receiving a LOT of compliments! 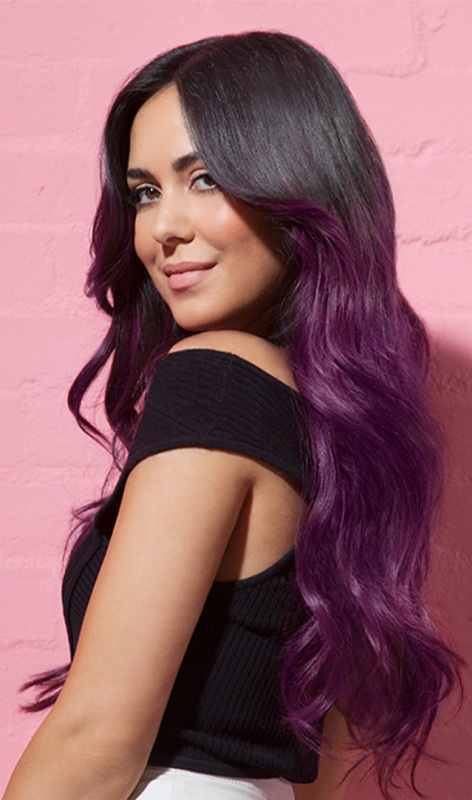 Response from Schwarzkopf LIVE: Thank you for taking the time to review Carole, sorry to hear you were disappointed with the Purple within this range though! Response from Schwarzkopf LIVE: Hi Carole, we're sorry to hear that. As with most colourants, colour results can be affected by your hair type and hair history, especially if you are applying to previously coloured hair. We would really like to help you further with this, so when you can please get in touch with our Schwarzkopf Advisory Service on Freephone 0800 328 9214 and our colour advisors will be happy to offer you further advice. Thanks and speak soon.